The purest military chronographs for ground forces? Defining and identifying military chronographs that primarily used by land forces is difficult – maybe impossible. Often, 'military chronographs' of this type are just wrist chronographs (often procured primarily for aviation use) used by ground forces rather than dedicated 'army watches'. 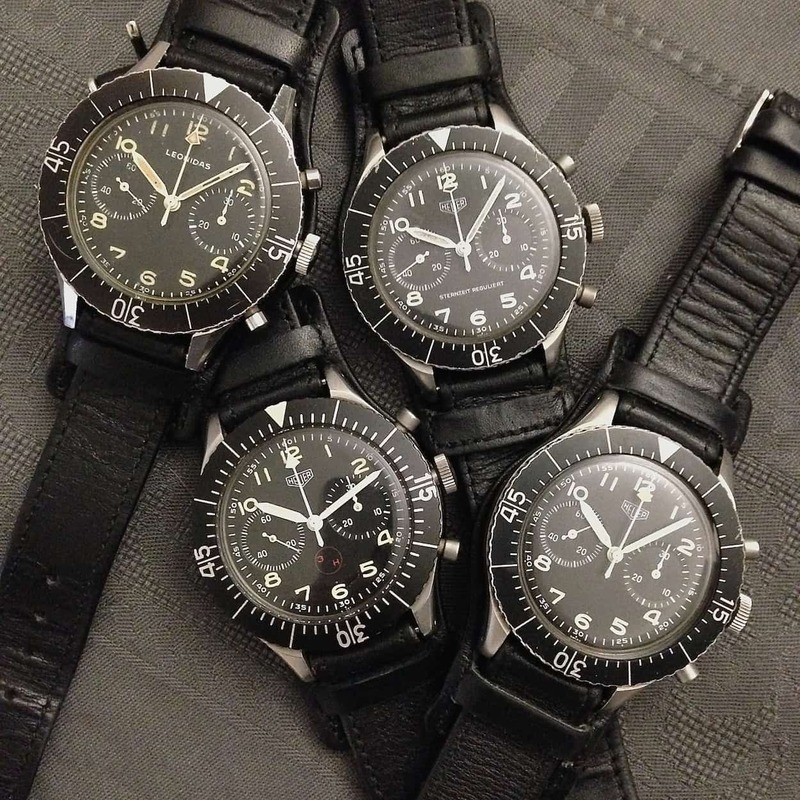 What's more, a century after WW1 many military (tactical) watches are simple three-handers with 24-hour numbering. Nowadays, it's also much rarer for governments to source military watches. In fact, it's generally left to individuals. The wristwatch we know today emerged from late nineteenth-century wars where troops adapted pocket watches into 'wristlets'. By WW1, wristwatches were slowly gaining credibility with men – largely due to military and aviation use. If one event cemented the acceptability of wristwatches for men, it was this war. The Great War also drove innovation in watch design. Developments in practical functions such as luminosity, bezels, chronograph mechanisms, waterproofing and synchronisation determined the wristwatch aesthetic that remains today. 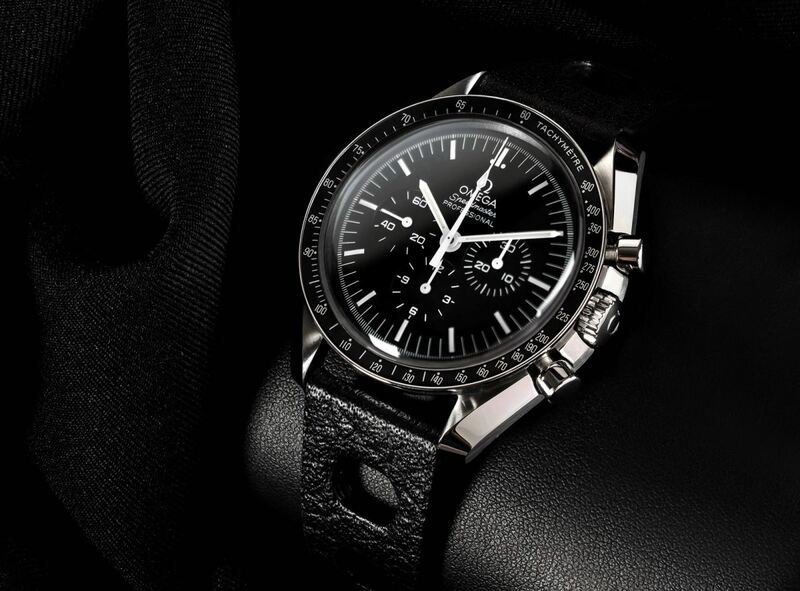 Increased adoption of wristwatches, including chronograph watches, had established the value of such timepieces for future military and civilian use. Use of military chronograph watches in WW1 helped establish such watches for future sports, industrial and military roles. It also contributed to a new, defining identity for wristwatches that took them beyond merely being smaller, wrist-worn pocket watches. When Gaston Breitling took over Breitling in 1914, he quickly appreciated the advantages of wristwatch chronographs for military personnel. A year later he introduced the first chronograph wristwatch with a separate pusher. This innovation, standing alone at 2 o'clock instead of within the main crown, transformed chronograph watches. To quote the contemporary Revue internationale de l'horlogerie et des branches annexes, '...[the pusher] is more easily reached and so makes the observation more practical and reliable.' 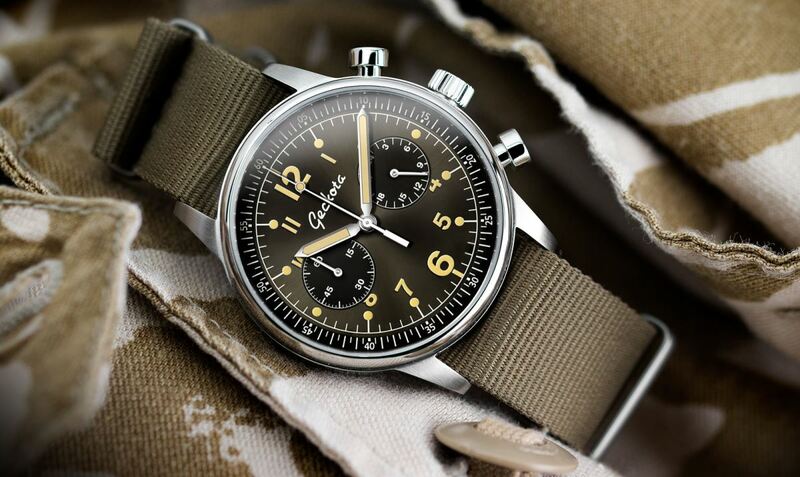 The modern military chronograph wristwatch was born. How does a watch telemeter scale work? That 1915 Breitling was advertised as a Bracelet Chronographe-Compteur. But without the telemeter that would soon be a defining characteristic of wrist chronographs. In The Wristwatch Handbook, Ryan Schmidt writes, '...the telemeter was a key tool for calculating firing ranges.' As we've seen, both sides in WW1 used standalone and hand-held optical telemeters for range finding. However, though optical rangefinders had existed for decades, telemeters on military pocket watches, and to a lesser degree wrist chronographs, were still widely used. So what is the acoustic telemeter that's a characteristic of so many chronographs? It deserves a brief explanation. Until WW1, various standalone and hand-held optical rangefinders were used by infantry, cavalry and artillery. From 1892 when Theodore Schaedeli invented the telemetric chronograph, so were pocket watches. Later, though not replacing telemeters, the wrist-worn telemeter watch brought new convenience to range finding. It was a microcosm of the overall changes brought to all military timing by the new acceptance of men wearing wristwatches. Whether a telemetric chronograph is a pocket or wristwatch, a central chronograph hand indicates on a calibrated scale on the dial or rehaut. Unlike optical devices, telemetric chronographs work because sound and light travel at different speeds. To discover range, the chronograph is started when a gun flash is seen. When the corresponding report is heard, the chronograph is stopped and its hand shows the distance. Nowadays, microwaves, lasers and other technology has replaced traditional optical or acoustic telemeters. 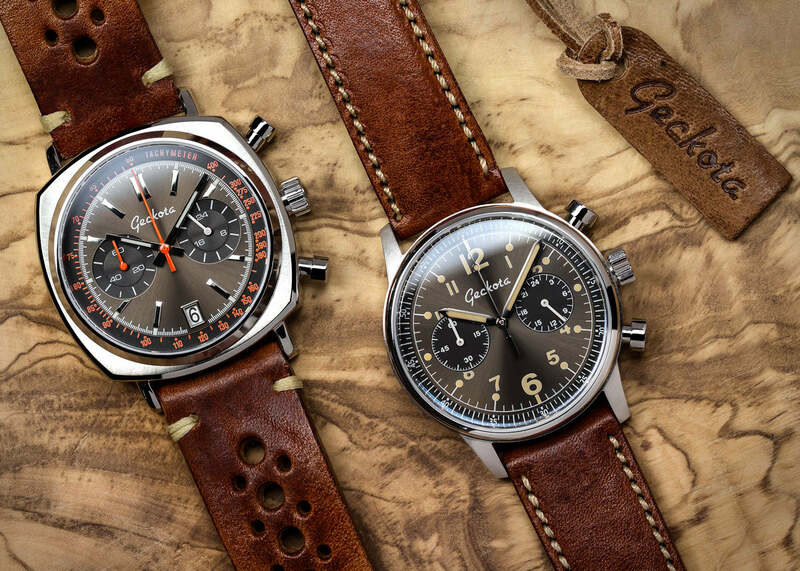 Telemetric chronographs primarily remain as interesting legacy features. We're not covering chronographs specifically designed for pilots here. 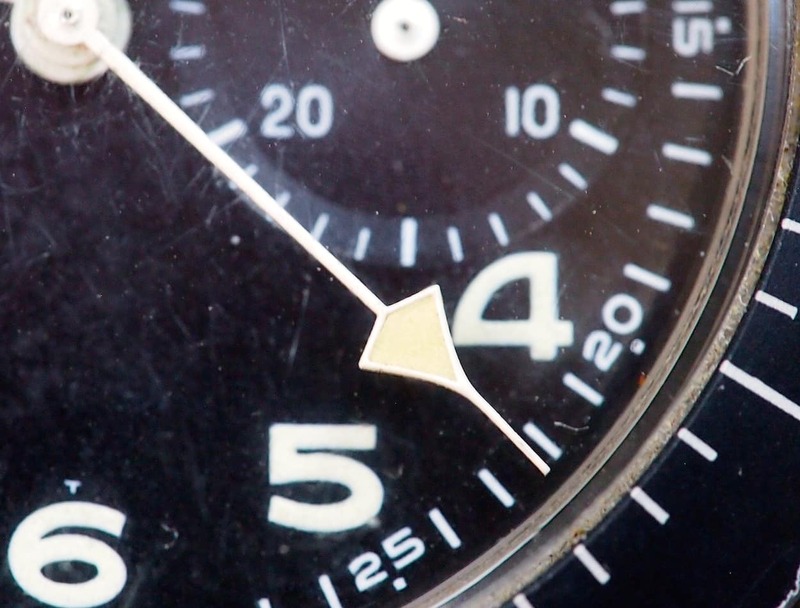 But we were curious about the appearance of telemeters on aviation chronographs. When we asked Dr Konrad Knirim, an authority on German military watches and author of Militäruhren, about this, he wasn't aware of aviation applications for telemeter chronographs. Other sources suggest that before modern onboard weather instrumentation, pilots on the ground may have occasionally used telemeter functions for calculating distances to thunderstorms storms. Maybe the reason lies in estimating storm distances or reflects a feature originally intended for ground warfare. Either way, it's perplexing that most military chronographs used by ground forces – for instance the Heuer Bundeswehr – were designed primarily for flyers. What defines ground forces' military chronographs? By WW2, wrist chronographs, with their now-characteristic design language, were available from many companies. Single ('mono') and double pusher watches were available from companies whose names have now disappeared (such as Tronador and Gander) as well as others that remain familiar. For single-pusher chronos, two o' clock positioning was usual. However, there are interesting exceptions, such as a Pierce wrist chronograph with its mono pusher at four o' clock! During our research, it became clear that military chronographs have long been more focused on aviation than ground forces. You need only search Google to see the predominance of aviation-related results. It's not surprising given the importance of timing tasks for navigation. So what defines ground troops' military chronographs? During WW1, a telemeter scale would have been a key differentiator. Soon, with less military importance on this function, any differentiation between specifically ground and aviation watches was disappearing. The temptingly simple answer is that a military chronograph for ground forces is any chronograph watch used by them. Another approach to defining ground troops' military chronographs is as watches issued to them by the military. Or how about a watch meeting military standards, such as UK DEF STANs? Maybe 40 years ago, but by the late twentieth-century, armed forces were less likely to source and issue any watches, let alone expensive chronographs. In fact, stories abound of British preference for issuing a non-chrono wristwatch and a stopwatch rather than a chronograph. This is a reason British WW2 military chronographs, such as Army Air Observation crews' and artillery rangefinders' Orator watches, are so rare. Along with other similar standards, Britain's DEFSTAN 66-004 - 'watches, chronograph, wrist' was withdrawn in 1990. Nowadays, troops usually source their own watches, unless specialised timepieces are required for a specific mission. Since WW2, as well as predominance of pilot and dive watches, ground forces' military watches have increasingly been simple, tactical watches. 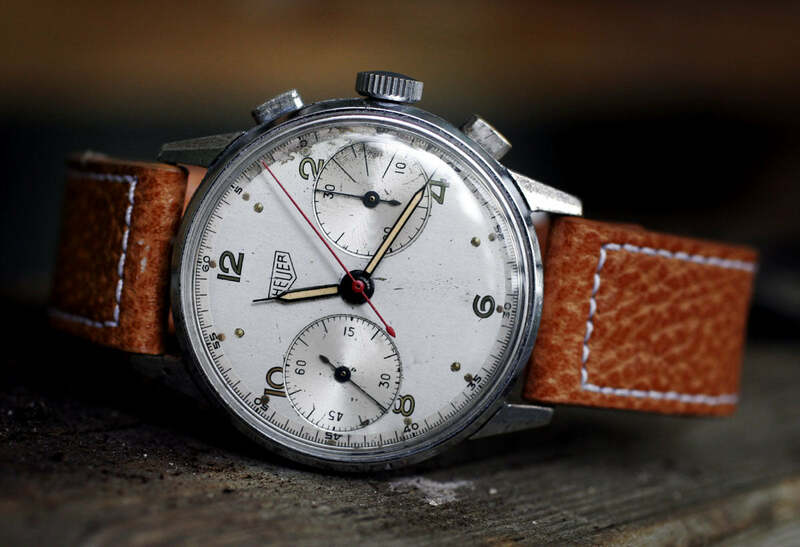 By the 1970s, four manufacturers dominated supply of British military chronograph wristwatches. So-called 'British military asymmetrical chronographs' were simple, reliable, black chronos with Valjoux 7733 movements. The vast majority were for air force and naval use. Around the world, the same aviation focus is apparent. Chronograph wristwatches simply aren't usually essential equipment for most soldiers. Another reason in the demise of mechanical military chronographs is the emergence of cheap, reliable, digital watches. Brands include Casio (G-Shock), Traser, Luminox and Cabot Watch Company (CWC). Yet, though Cabot's website offers a CWC military chronograph, their general service watch collection doesn't. Great article. I spent 21 years in the Royal Air Force and was often fascinated by issued watches, the main one being the Seiko Gen 1 and later the Gen 2 quartz chronographs which always caught my eye when worn by aircrew. Often quoted as Pilot’s watches, it was only the navigators that were issued these, the pilots were issued very plain field watches like CWC. The specs were interesting, in that they had to be super legible, good lume, quartz, beadblasted stainless steel, water resistant and have welded lug bars. 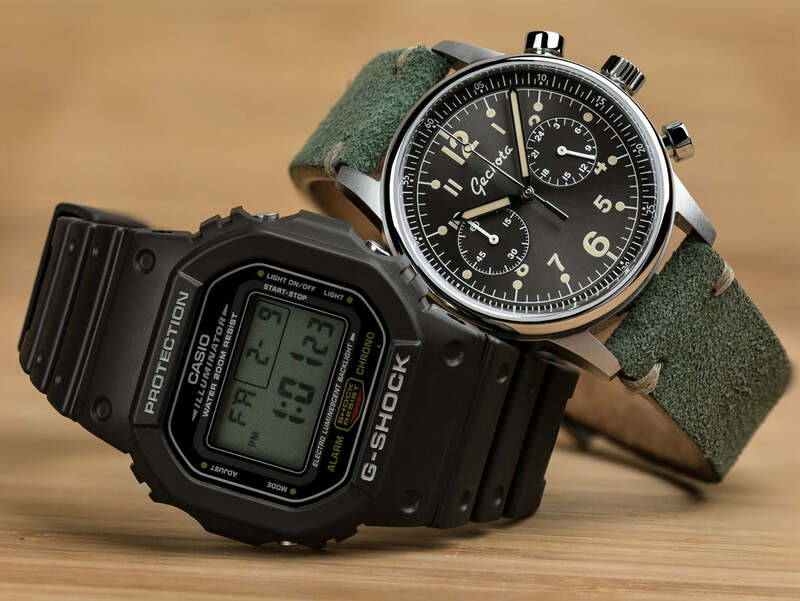 The gen 1s were issued with leather cushion type straps, whilst the gen 2s had the, now, well regarded grey NATO strap....a term given by the MOD (Ministry of Defence) and not NATO, at all! Here’s a good article regarding the gen 1. I was offered a gen 2 in 2001 for £75, in immaculate condition, I declined......they seem to be going for up to £1100 now!